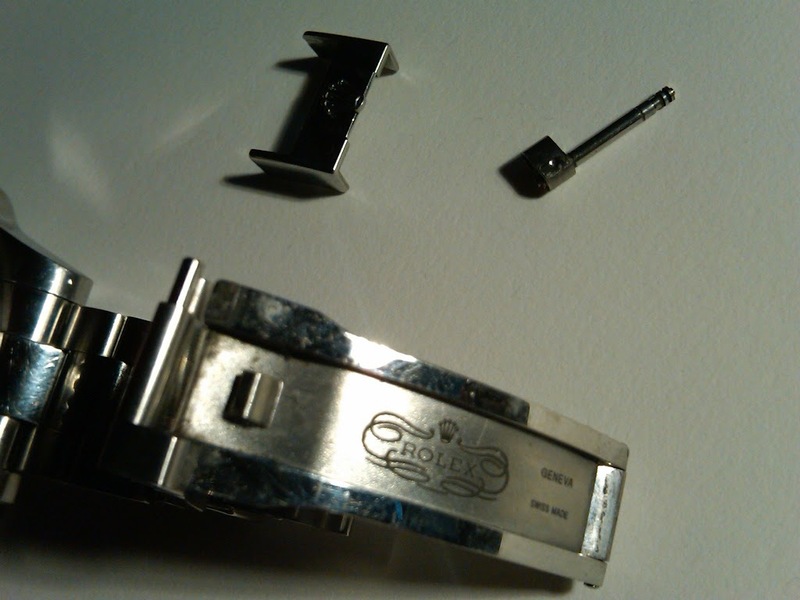 The clasp (the buckle like part that is the last piece to press down when closing the clasp) fell off my GMT IIC's wristband today. Looking at it, it looks like the pins that held it on sheared off. Has anyone heard of a similar problem? I think it's out of the two year warranty by a few months. The clasp was rubbing sometimes when I tried to close it. It was an intermitent problem. I brought it to the NY Rolex SC earlier in the year (when it was still in warranty) for them to see what was wrong. The tech who supposedly looked at it said nothing was wrong. I guess he was wrong! I presume they have a record of that service call. Anyway, gonna call my AD tommorow morning and see what he suggests I do. Mine has worked really well, and I have worn the watch near every day for close to two years. I'm sorry to hear this happened to you. Maybe you could contact Rolex and explain the situation. They may fix it even though the watch is out of warranty. a pic would be interesting. What a major bummer! Keep us posted, pics if you can. How is it you WISnuts can come up with these horror stories, on a SUNDAY mind you, the CHARGERS are gettin their clocks cleaned again and are scoreless in the first half, and not have picture one to show for it ! PS: I love tuna ! Very interested in an update on this Brian. First we've heard I think. Any chance you could show us the damage on a few pics? I would call the NY RSC directly and see what they can do for you. Keep us posted. I would go directly to the RSC when you are able in person instead of going through your AD since you already have been to the RSC personally about this problem. Sorry for your mishap, and glad it didnt involve more than this as this is enough in itself ! Regardless of how it got broken I think Rolex should repair it under warranty. But, I do have one question. How often during your ownership did you clean the watch and bracelet (like with warm soapy water)? The clasp does look a bit soiled in the photo and dirt abrasion is known to cause more rapid wear in the bracelets. he stated earlier it was rubbing bad enough he had it checked. if it was rubbing something is out of alignment and that will cause premature wear and stress on the conflicting parts. the clasp on my gmt2c or daytona don't rub together when operating. Wow, did you get in a fight in a courtroom? First off, RSC failed to notice it before -- this is exactly why you want to know a private watchmaker.... a second opinion is always nice. Second, please introduce that watch to some soap when you get a chance, the poor thing looks like a ragamuffin. good thing you weren't swimming/diving with it at the time. Not likely with too many here as most are scared to get their watch wet. Here's a decent schematic of the clasp, it looks to me that the lug which holds the pins (5,6) has sheared off rather than the pin it's self. Having just had a quick look at mine these lugs look like they are soldered, welded, fused somehow ??? onto the main part of the clasp (1) even though the schematic doesn't show the lugs as a separate parts. Never really had a close look before. an elegant solution? or overly complex? lot's of things to go wrong imo. But the assessment sounds correct. The lug or "pin holder" probably was over-stressed when it was welded to the clasp housing and "presto-junko", thus losing integrity. "Spot welds" give me a freakin break ! 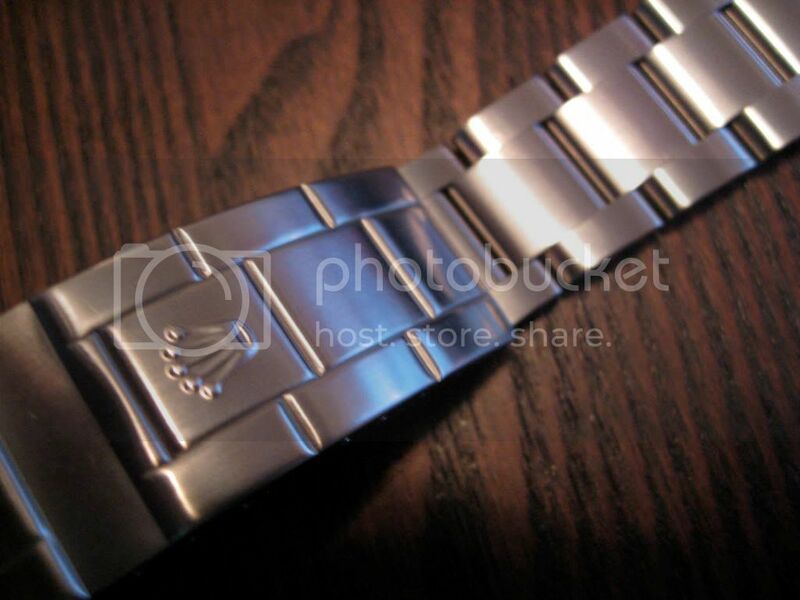 This shuld be a "recall" of the assy by ROLEX and a refit for a newer fix'd design IMO. 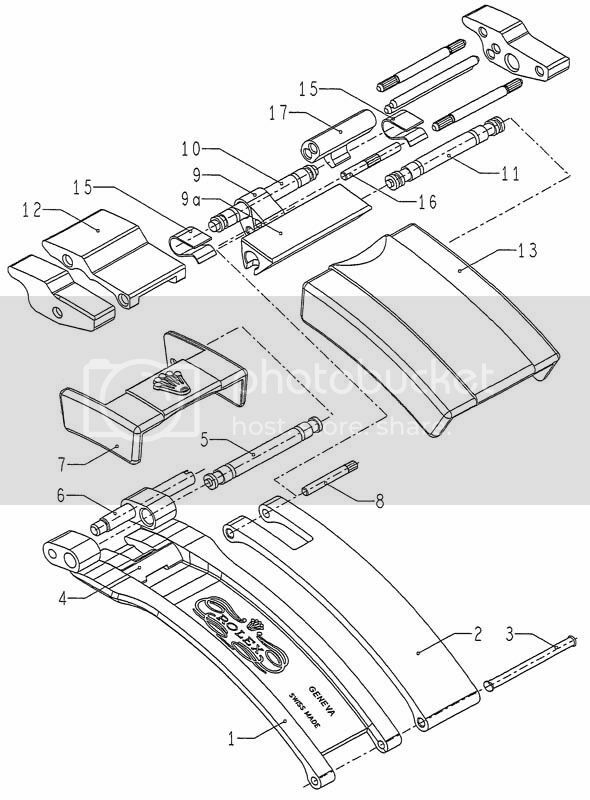 I believe the assy shuld be completely "machined"; meaning pin and clasp housing all one unit; call ROLEX and they'll tellya, "yeah, Randy's right, it should be machined as a single assy" ! 1. First of all, I clean the watch with "Scrubbing Bubbles' wipes at least once a week. The dirt you see is dirt that wasn't accessible until the bracelt fell apart! That maybe part of the problem; can't get to areas that need cleaning, and the dirt acted as an abrasive? 2. I called RSC this morning, and they said I should send it back to them. It happens to still be under warranty (I lost track of when I bought it) so no out of pocket expense, just inconvenience. 3. I asked if I could have it serviced at my RSC, an they said with bracelet issues it would have to be sent back to the RSC anyhow, so I might as well just send it there myself (are they trying to avoid the cost of paying the AD for the repair?). they're sending me a mailer. 4. I asked the person on the phone if this is a common problem, and she said they couldn't tell me until they see the watch. Fair enough. 5. I believe the spot welds did fail. I am very disappointed in the substandard engineering. It fell apart when I was simply puting it on Sunday morning. you would think they would have a mechanical connection where a part gets daily wear. 6. Think I should ask for a free polishing, for my troubles? (I know, good luck). Thanks again for your interests. Sorry to hear about your troubles with your bracelet. Glad to hear its still under warranty (even though I don't think it would have been an expensive fix if it wasn't). Let us know the final result.